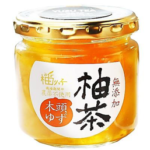 Founded: 7th of November, 2007 / CEO: Sumie Misawa / Main products: manufacturing and selling Japanese citrus products, such as Yuzu miso “Yuzurikko” / the total turnover(As of 2016): 45 million yen. Since we wanted to make use of organic citron small citrus fruits from Tokushima as in they were not harvested due to the aging population of farmers, we have started our business. We buy organic citrus fruits directly from reliable local farmers as well as help then harvest, in order to produce citrus fruits products. We won prizes from the Ministry of Agriculture, Forstry, and Fishries three times so far, which means the quality of our products and business is highly eveluated. As of 5th of October 2014, We obtained halal certification from Nippon Asia Halal Association, which enables broader range of consumers from other countries to enjoy our products. Feature: Our Yuzu miso is organic, high quality miso using only organic citrus fruits from Tokushima and Gozen-miso made in Japan. Carefully removing stains of the skin and seeds, we use a lot of citrus so that you can enjoy the natural taste of Japanese citrus fruits. The sweet taste matches any kind of dishes. Thus you can have it by itself as well as use as a seasoning for various kinds of dishes. Feature: This is simple and organic syrup made from organic citrus fruits from Tokushima and sugarcane with the highest degree of purity from Hokkaido. You can use for drink by mixing with cold water or soda water. 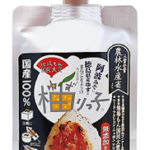 In addition, it can be used as a seasoning for some dishes and desserts, for, example, marinated dishes and vinegar salad by using this syrup with salt. Feature: This is simple and organic citrus tea made from organic citrus fruits from Tokushima and sugarcane with the highest degree of purity from Hokkaido. You can make a tea mixing with either hot or cold water. Furthermore, it matches bread, yogurt, as welll as can be used as stake source or sweets.